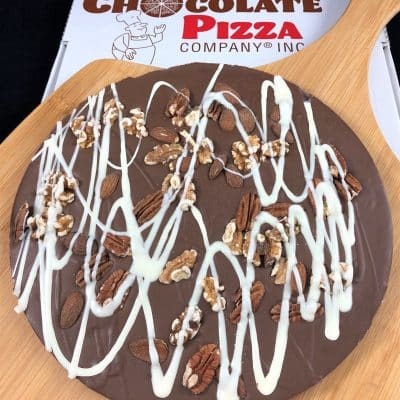 About 30 years ago, Chocolate Pizza Company started in the quiet Upstate New York town of Marcellus. Over the decades, it has grown into America’s gold standard of Chocolate Pizza. 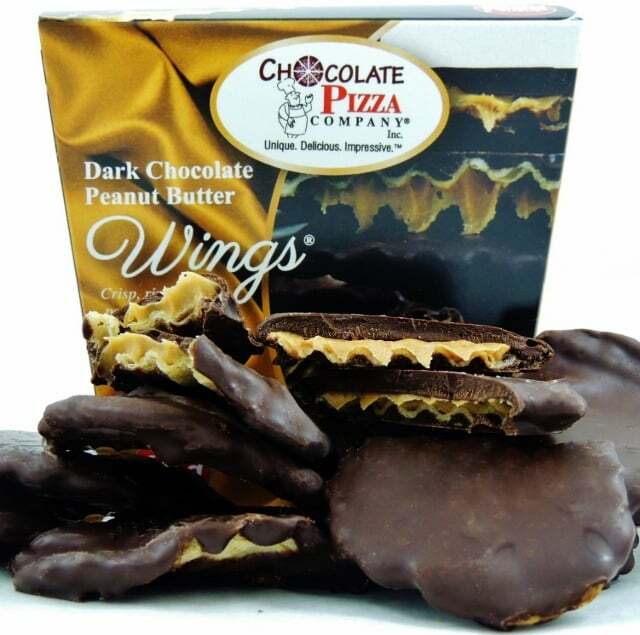 The company and its line-up of more than 100 gourmet chocolate specialties has been featured on the Hallmark Channel, CNBC, Food Network, Discovery Channel and other major media like Forbes, People and Entrepreneur magazines. We have one of the best teams of chocolatiers who create this one-of-a-kind confection by blending the highest quality Swiss-style chocolate with homemade English toffee. 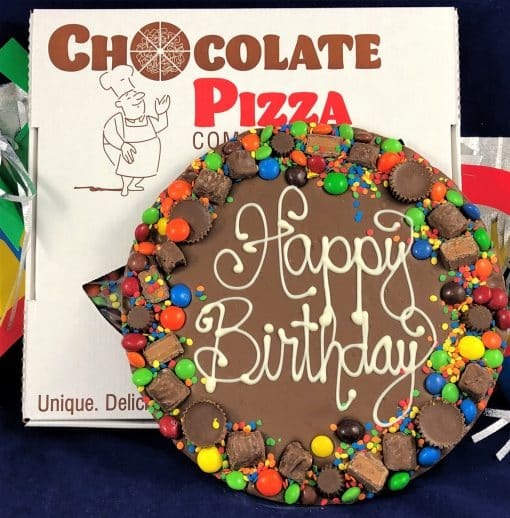 Handcrafted, real-people make every Chocolate Pizza which means you get a unique gift every time. We start by tempering the chocolate with a process that raises and lowers the temperature in very precise ways to change the physical properties within the chocolate. Done correctly, tempering gives the chocolate to strength, shine and a velvety, melt-in-your-mouth feel. The English toffee recipe we use comes from our hometown of Marcellus, New York and dates to 1919. To ensure we have the best-tasting toffee, we make it ourselves in small batches. The toffee adds both taste and crunch to our Chocolate Pizza, including our Birthday Gifts Chocolate Pizza with an Avalanche border. While a few of our Chocolate Pizzas come without the toffee, it remains a popular – and signature – ingredient to most of our line-up. An added plus is the incredible aroma that drifts through our facility with every batch of toffee. Simply divine! The toffee bubbles away until it hits just the right temperature and then cools on baking sheets before being ground fine and stirred into our melted chocolate. Once blended, we scoop it into pizza pans and add a dizzying array of toppings including candies or nuts. For customers who want to personalize a Chocolate Pizzas for birthdays, holidays, anniversaries or special occasions, our chocolatiers create hand-decorated masterpieces. We use white chocolate to script a name, greeting or design by hand – an amazing talent to watch – but it gives it that personal touch. 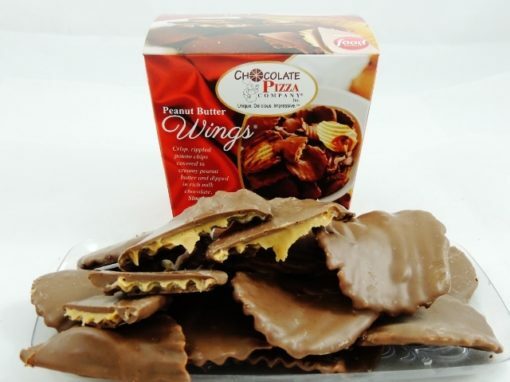 You know when you open a custom Chocolate Pizza that it was made just for you. Pizza is served in a box and we have a cool one. Our pizza box has viewing windows in the top that let you see the delicious treat within. Inside, the box holds the Chocolate Pizza snug and rests it on a cushion that protects it during shipment. 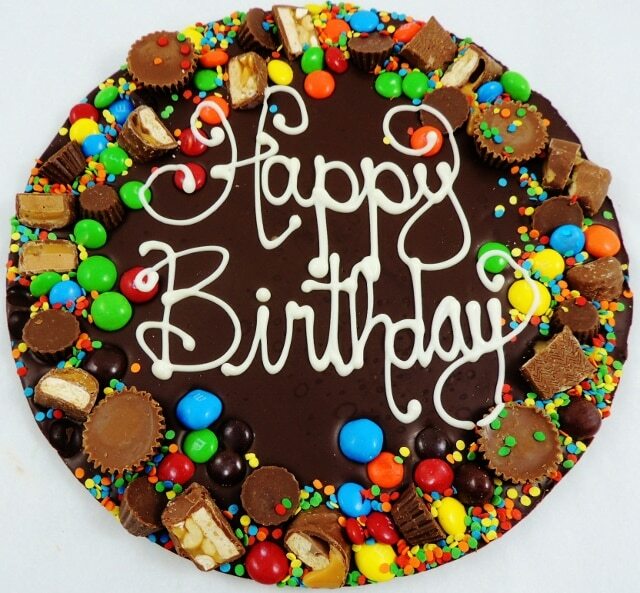 Chocolate lovers on 6 continents have ordered our chocolate specialties and we ship anywhere. Once your Chocolate Pizza arrives, store it out of direct sunlight and in a cool, room temperature location between 55-70 degrees (F). It doesn’t need to be refrigerated or frozen and will stay fresh for months at room temperature. Remember, chocolate melts quickly above 75 degrees so avoid over-handling the product or exposing it to direct sunlight or a warm environment. 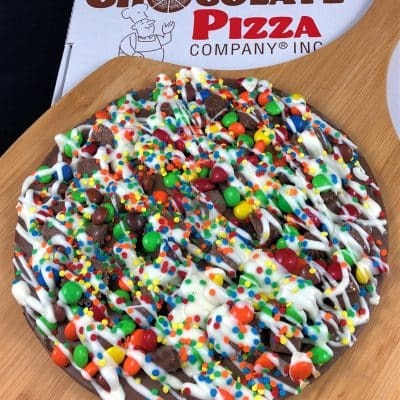 There are always people who want to copy our Chocolate Pizza but we are the only trademarked Chocolate Pizza in America for a reason. We’re a family-owned, small business that is proud to make some of the best tasting chocolate right here in America. For gifts that are unique, delicious and impressive, your search is over. 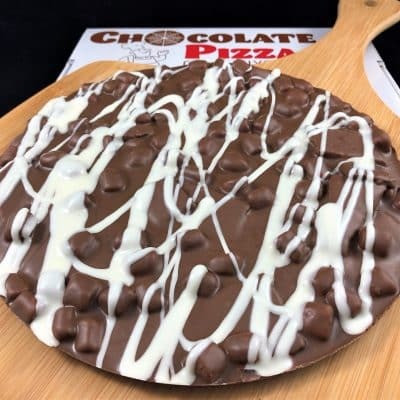 Welcome to Chocolate Pizza Company.